There will be fewer and more specialist barristers in the future, Lord Sumption has predicted, as he criticised some of the Bar’s actions in response to legal aid cuts. He also expressed concern that the growing number of barristers opting not to join the bench would make it harder for younger practitioners to progress through the ranks. 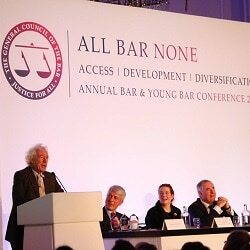 In a keynote address to Saturday’s annual Bar Council conference in London, Lord Sumption – who retires from the Supreme Court when he reaches 70 next month – traced how the Bar has developed since he was called in 1975 before considering what the future would hold. “I think that the future will probably see a smaller Bar,” he said. “I suspect that the Bar will meet the challenge presented by the high standards of the solicitors’ branch, rising expectation of clients and declining levels of public funding by specialising even more than they do at present. The judge forecast that business disputes – particularly international ones – would account for a larger proportion of the Bar’s work. “Even in the courts of the European Union, I suspect that English barristers will continue to appear, even if have to masquerade as Irishmen,” he observed. Lord Sumption highlighted the growing distance between the government and the Bar, the biggest cause of which was “the perennial row” about legal aid fees. The maintenance of a functioning system of justice was fundamental to the existence of the state and a civil society, he said. “That means a functioning system of criminal legal aid, enough judges of the right calibre to do the work without undue delay or haste, an effective police force, and a humane prison service to receive the unusually large number of people whom we sentence to be locked up. “A court system which leaves criminal defendants to face the state’s prosecutors with no, or no adequate representation, is not a functioning court system. “A court system which leaves defendants to foot the bill for their defence when the state has failed to prove its case against them, is not a functioning court system. “A prison system comprising overcrowded and understaffed seminaries of crime is not a functioning prison system. However, he described much – but not all – civil legal aid as desirable but not fundamental, “even if the Bar are apt to forget the fact”. 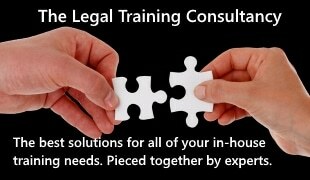 “Supporting the cost of civil litigation may be desirable in cases where people are too poor to fund it themselves. But it is not fundamental in the way that criminal legal aid is fundamental,” he said – it had to compete with other government spending priorities. Lord Sumption continued: “I know that this is not going to be a popular message in this place, but the Bar’s response to these challenges has not always been wise. In the first place it has overstated its case, by failing to recognise that we cannot return to the open-handed approach to legal aid that prevailed in the 1970s. “There is a trade-off between the cost of the civil justice system and other kinds of government expenditure which are at least as important in the public’s eyes. “Secondly, the bar has tended to run the kind of campaigns which could only have worked if its cause enjoyed strong and instinctive public support. It does not. This meant barristers could not use the same campaigning methods as nurses or teachers. “Public demonstrations with banner in hand and wig on head look ridiculous and are completely counter-productive. The judge regretted that the Bar’s public service ethic was “no longer enough to persuade people to go to the bench when they would be better off staying in practice”. “The long-term implications for the bar are uncertain, but may be significant. One consequence will be a change in the age profile of the Bar. “The Bar has traditionally been a relatively young profession. It used to be repeatedly top-sliced as its most senior members left for the bench at the age of about 50. Apart from a few heroic old mastodons, the top barristers in practice have generally been in their late 40s or early 50s.